Three years ago, TNTP set out to understand how so many students could graduate from high school unprepared for the lives they want to lead. To find out, they followed nearly 4,000 students in three large urban districts, one small rural district, and one charter network with three schools in separate cities to view school through the lens of their experiences. In all but the rural district, a majority of students are black or Latino, as well as low-income. What they found was unnerving: classroom after classroom filled with A and B students whose big goals for their lives were slipping away, unbeknownst to them and their families-not because they couldn’t master challenging material, but because they were rarely given a chance to try. In fact, students were spending the equivalent of six months of the school year with content and instruction that didn’t ask enough of them. In The Opportunity Myth, you’ll meet the “opportunity seekers”: students like Isaac, who struggled in his freshman year but refuses to give up his dream of becoming a nurse. And Hajima, who worries deeply that the lack of challenge in her high school coursework is going to leave her behind when she gets to college. Researchers talked to dozens of other students and surveyed thousands more who had their own stories of how their schools are failing to give them the experiences they deserve. 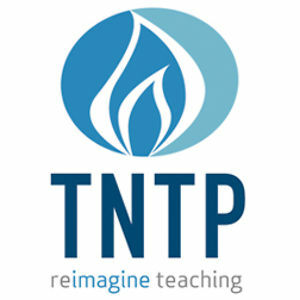 A narrow majority of students, about 55 percent, were generally engaged and interested during class, based on TNTP’s survey. Students of color and low-income students tended to be in classes with worse instruction, fewer grade-level assignments, and lower expectations for meeting standards. That was correlated with slightly lower rates of test score growth. This entry was posted in School Reform & Leadership, Teacher Effectiveness & Retention and tagged college readiness, college-ready, student, student assessment, student performance, student voice, survey results. Bookmark the permalink.